This is a very detailed account of the Commodore's life, as such, it tends to get windy at parts. 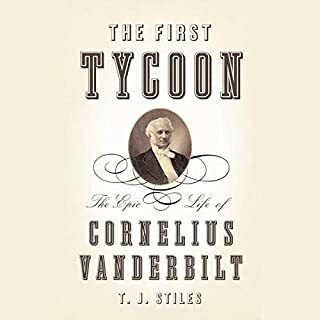 The text is characterized by long departures into side roads mostly concerned with Vanderbilt's contemporaries, the politics of the day, and Vanderbilt family members. To someone interested in studying the enigmatic success of one of history's archetypal capitalists, these sidetracks are fatal to attention. The narration was consistent and unfailing however, the narrator has the odd habit of affecting a strange (almost mocking) voice when he reads quotations from the period.